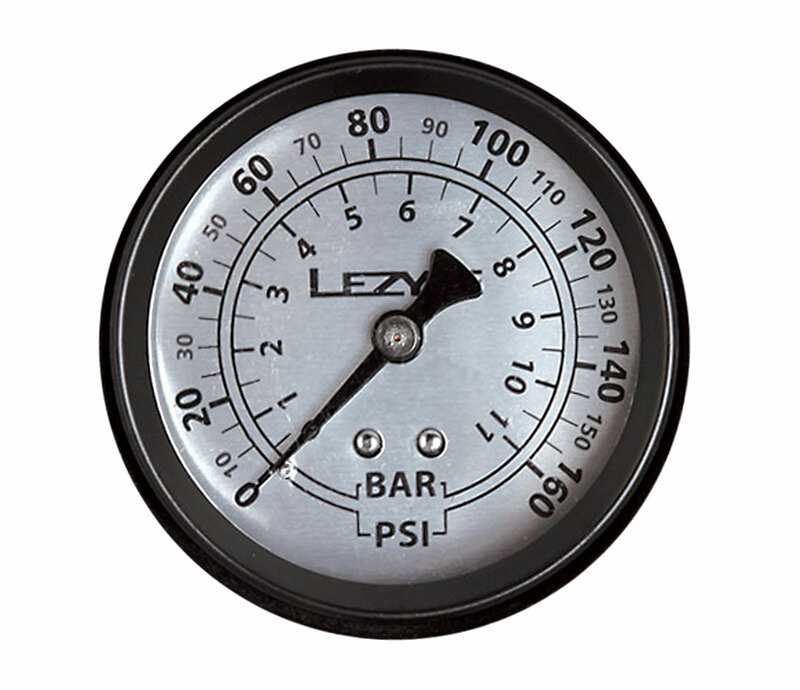 160 PSI replacement analog pressure gauge for all standard travel floor pumps, includes glue and o-ring. Very precise with a 1.5 inch face, this gauge increases visibility and allows the user a precise measurement of tire pressure. Included on our Travel Floor Drives.